Raphael Orlove, who is quickly becoming a FEP favorite over at Jalopnik, has announced Round 1 of a daily driver popularity contest. The Fox Mustang is included in this first round of 16 contenders. Head on over and be sure to stand up for the masses who have driven and still do drive a Fox on a daily basis. We'll forgive 'em for not using the right Fox for the image. This car was recently featured in the pages of Mustang Monthly, but in case you missed it (check your local magazine rack, it may still be available for purchase! ), you can view the online feature of FEP member tbrodzeller's car on their website. A build thread, along with lots of pictures later on in the thread, can be found here. Click the image, or click here to go to Mustang Monthly's site to view the fantastic photographs of this great looking car. Our sincere congratulations to Tony for being featured both online and in print in an important publication for our hobby. Putting forth the effort involved in restoring an important piece of Fox Mustang history to this level is no small task. Great to see the results! An interesting read from the June, 1978 Popular Mechanics issue gives us a look at the thoughts of the day regarding the then-new Ford Fairmont and Mercury Zephyr pair. These first Fox platform cars were rear-wheel drive, compact class replacements for the phased-out Ford Maverick and Mercury Comet. Attractive looks and economical transportation were the driving force behind owners choosing an F/Z car when new. Fuel consumption was a significant issue for drivers in the late 70s and though many purchased a Fairmont or Zephyr due to high MPG expectations, it was also the most disappointing part of post-purchase reality. The generous EPA ratings did not match what drivers were experiencing and it was reflected in this poll. Strangely, despite being nearly identical, Zephyr owners were far more likely to give stellar marks to their particular model versus more critical Ford owners. Perhaps the perception of Mercury being a more premium brand influenced this curious reaction. One of the most popular cars on FourEyedPride, for good reason, was chosen as Ride of the Month in January. Now, you can read about it in the April 2014 issue of Muscle Mustangs & Fast Fords. 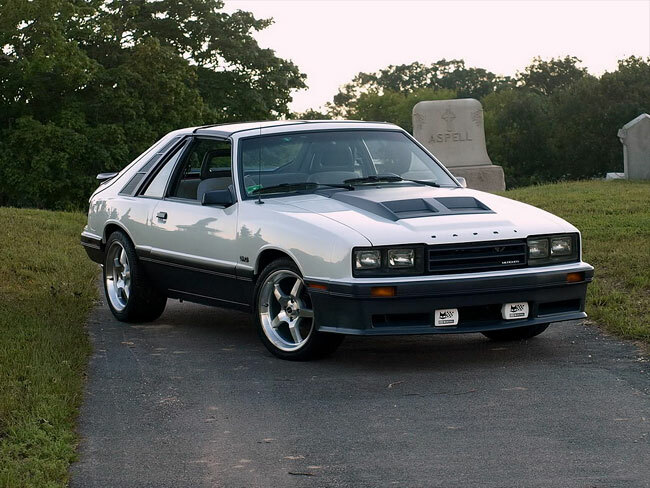 This immaculately done 84 Mustang T-Top coupe packs a Coyote punch. You can read a bit about it here on FEP. Show some support to one of our own, go out and grab a copy from your local newsstand if you don't already have a subscription. A note to the editors letting them know how much we enjoy seeing cars like this covered sure wouldn't hurt, either. Congratulations again to Mark and Jackie on the well-deserved recognition this amazing car is receiving!